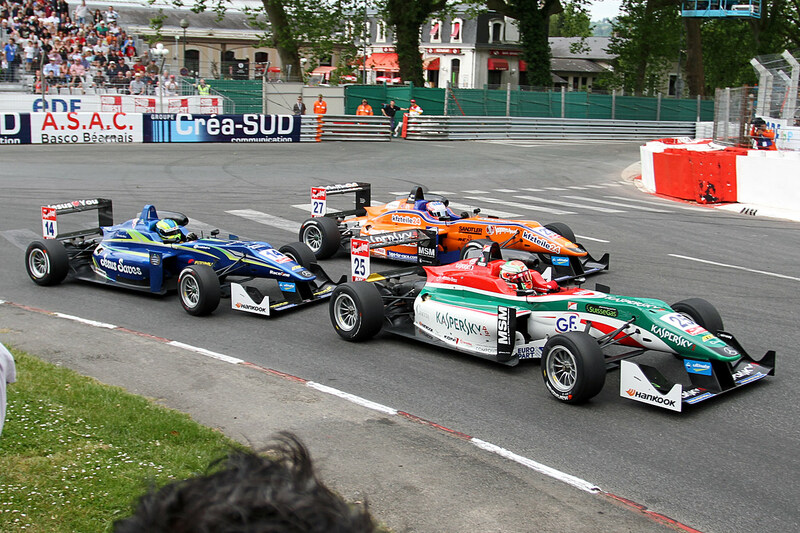 Felix hauled himself from 22nd on the grid to 14th by the chequered flag in the opening FIA Formula 3 European Championship race of the weekend at Pau, as he produced no less than eight overtaking moves at the ultra-tight street venue. The lowly grid position came as a result of yesterday’s qualifying disaster, where Felix encountered engine problems that left him at the back of the pack. He set about progressing as soon as the lights went out, however, slotting in behind Double R Racing’s Felipe Guimaraes and Prema Powerteam runner Antonio Fuoco as the race settled in. He would later overtake both of his rivals – and Van Amersfoort Racing’s Gustavo Menezes – in the closing stages to cross the line in 14th. As expected, the race featured a number of incidents, with the safety car being called into action twice. Victory went to Esteban Ocon (Prema Powerteam), who controlled proceedings from pole position. Next up this weekend is Qualifying 2, in which the grid for Races 2 and 3 will be formed. 22 7 Riccardo Agostini / ITA Eurointernational 26 00:34:54.020 1 Lp. – 8 Michele Beretta / ITA Eurointernational 12 00:16:39.100 15 Lp.